As I mentioned in the last post, I have been to Surrey several times. I am very fond of the Cloverdale Library where they have a genealogical collection that covers Canada. I wanted to stop by and see if I could get some questions answered before my trip to Ontario which was coming up soon. Source: Canadian Genealogical Resources, A Guide to the Materials held at the Cloverdale Library, 15th Edition, 2007. It is on the website for sale and they will be updating it and publishing a 2012 edition soon. This booklet is set up by categories: Census, Immigration & Passenger Records, Naturalization, Parish and Vital Records, Land Records, Metis Land Claims, Estate Records, Military Records, Hudson’s Bay Company Records, First Nations, City Directories, Genealogical Magazines and Newsletters, Electronic Resources and Other. It is very detailed. They tell you when you have to do interlibrary loan from Libraries and Archives or the Ontario Archive if it is necessary. They also have finding aids for each province that are very helpful and you can print them out or read them online. You can park on either side of the library and you enter from the front through the big doors. The genealogical collection is on the 2nd floor. My question was for the librarian to see if she had any idea about the Library and Archives Upper and Lower Land Petitions. After explaining my problem she agreed with me that the records stopped short of what I needed and that I probably need to contact the LAC to ask them my question. She said they had a toll-free number but is that toll-free from the US? My great-grandfather Archibald McDonell lived in Pontiac Co. Quebec and I trying for his land records. He is not the focus of this blog which is the Brown and Boardman families. Still I am determined to learn about the Quebec and Ontario land records. After we made this determination she left for other duties and I pulled some books off the shelf. I found the Lochiel parish book by Duncan Darby MacDonald regarding my McDonell side and learned it was about the Kirkhill Church and Cemetery in Lochiel Township in Glengarry. I it is Presbyterian. It covers 1820 to 1884. I looked in it anyway to determine if Archibald might have changed is religion from Presbyterian to Catholic? I did not find anything that looked promising. Mr. MacDonald writes a very interesting history of this parish in the front of his book. Unfortunately he died a little while ago and Global Genealogy has taken on his publications. I do notice the name Brown in these registers and find it interesting that the origins of Brown could be Irish, Scottish and even German? The next book I found was three volumes of the St. Regis Church starting in 1784. It was at least Catholic so I took a look but did not find anything that looked promising. It also covers other churches. This series of volumes is again done by Duncan Darby MacDonald. I still keep an eye out for any family surnames names. I looked at several other books on Scottish immigration and settlement in Canada that I was not sure I had looked at. They had a lot on Irish immigration but I did not have time to look at those. There was much more I could do at this library but it was time to stop, take a break and relax. We headed out for lunch or rather our dinner at a public house a few blocks north of the library and as we ate our food we played with our cell phones learning how to use them in Canada. They have WiFi connection and so we logged on to the pub’s free WiFi and played. The rest of the day we took it easy! This entry was posted in British Columbia, British Columbia 2012, PAST GENEALOGICAL RESEARCH TRIPS and tagged Cloverdale Library, Surrey BC on April 30, 2012 by BJ MacDonald. British Columbia – A Special Place! British Columbia has held a special place in my world for a long time. My mother and her brother were born there. I will talk about their births in future posts. It is time to do a little reminiscing. My last post placed the Robert and Ethel Boardman family in Vancouver, British Columbia about 1909-1910. Therefore, it seems fitting to share my experiences with British Columbia. Seems to me we went up to British Columbia on camping excursions or day trips when I was a child, but where is a mystery? At the age of 15-16, I drove the entire eastern side of Vancouver Island on my temporary driver’s license. Of course I was with my parents. My Dad was co-pilot: http://www.vancouverisland.travel/ We took the ferry across from Port Angeles to Victoria for that trip. You would take the ferry-boat from the Seattle harbor. It took a good 4 hours, if memory serves, walk around Victoria and then come back, nothing fancy. http://www.tourismvictoria.com/ I know I have been inside the Empress Hotel but did I have tea there? A flash of memory of a dining room with a table. I have fond memories exploring Victoria with my Aunts (my dad’s sisters) and my mom and visiting all the shops. You cannot go to Victoria without visiting Butchart Gardens. I think I walked that garden at least 3-4 different times. I have been to Victoria other times with friends but I have never done any genealogical research in the archives there. I have tried to figure out what I could do there. Victoria is a lovely place to spend some time and dither! 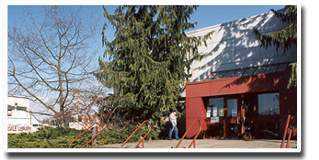 The Victoria Genealogical Society: http://www.victoriags.org/ This has some wonderful genealogical links for Victoria and the area. I have visited Vancouver, B.C. on several occasions. I was with my Aunts and Mom and we went to Stanley Park (I think?) and saw some exhibits. It was about women’s unmentionables and it was a riot to listen to them talk about all the finery and their own memories of owning these types of garments. Boy do I wish I had written that down or recorded it. This was pre-genealogy so I didn’t even think of it. My hubby frequently goes to conferences and I tag along, especially if I think I can do genealogical research at the location. While my husband attended his conference, I walked down to the Vancouver Public Library and studied their books, newspapers, city directories and maps for clues to my family history. I am referring to the Central Library and their history collection. You might have to do a little digging to find what you are looking for. It has been awhile and the website has changed. I also visited the house my mother’s family lived in on Salsburg Drive. It is still standing and being taken good care of. I featured an old photo in a past post. My hubby arranged for us to go up the gondola at Grouse Mountain to the top and have dinner. As we sat there eating I looked out over Vancouver itself and pondered my mother and her life there. It is a wonderful view from that mountain. It was actually a little cold. There was a little snow on the ground when we visited. 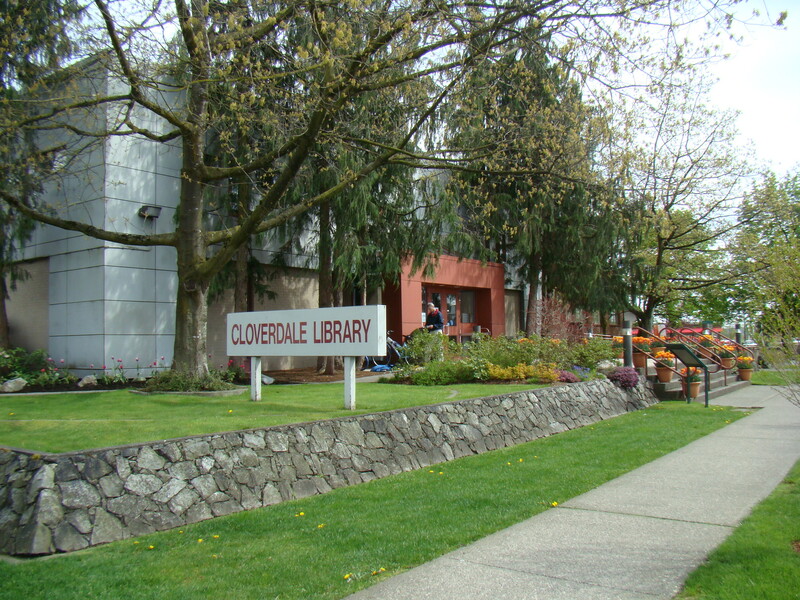 The best place for me is the Cloverdale Library in Surrey, B.C. I have been there twice and will be going for a third time in a few weeks. 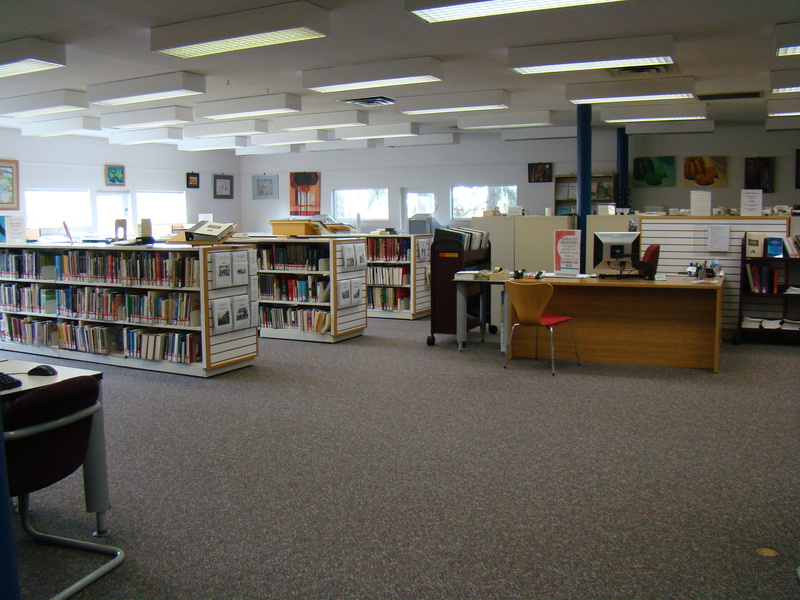 It is known for its Canadian genealogical collection. The first trip was with my best girlfriend. We discovered, after knowing each other for 31* years or more, that we had genealogy in common. We spent two days researching in their wonderful genealogical collection. This is when I found my family the Browns and the Boardmans in the census, in Winnipeg. Yes, this was before it was all put online. I was scrolling through the census and there they were, both families living very close to each other. I actually found the Browns first. It was a very good day! In the past, my family would drive up to Harrison Hot Springs and visit for the day. There was a lodge there and it seems to me that something is amiss about it now? I have a bad feeling it has been replaced? I do remember going skiing one time. It had an “S” name and might have been Silver Star but that was a long time ago. It was a foggy day on the ski slopes and I was making sure I didn’t get lost or disoriented and end up off a cliff. Alas my skiing adventures came to a close a great while back, my knees didn’t like it! Ah yes, other things like freezing temperatures and hot spiced wine come to mind! I was never very good at it. So much for my reminiscing about British Columbia. As you see it has been part of my life and 2.5 hours from Seattle, it was not that hard to get too and cross over the border, but that has changed so you need to take your passport and be prepared. About a year ago, I learned that I had even more ties in British Columbia when I found my cousin Bob Hayes. He is a Brown cousin descending from a sister to my great-grandfather Richard Brown who has been featured in this blog. I am off to visit with him and ask him a 1,000+ questions about the family. Boy it seems I don’t have any photos of any of my trips up there, what a bummer! This entry was posted in BOARDMAN Surname, British Columbia, BROWN Surname, Canada, Vancouver BC and tagged British Columbia, Butchart Gardens, Cloverdale Library, Grouse Mountain, Victoria Clipper on April 20, 2012 by BJ MacDonald. 1891: The Richard Brown Family! Because the name Boardman is a little easier to trace I started with them. Much to my surprise as I was looking through the 1891 Canadian Census I stumbled upon the Browns while researching at the Cloverdale Library in Surrey, British Columbia. I found them living rather close to the Boardmans and did I do a happy dance!!! Source: Richard Brown Family, 1891 Canadian Census, Winnipeg, Manitoba, Canada, Page 34, District No. 1, Ward 6, also on Canadian Film #T6297, 13 May 1891 by J. [ ] 1891 – Richard Brown, 36 years old, born in Ontario, father and mother from Ireland, carpenter. Emily Brown, 35 years old, born in Ontario, parents from England. Charles 16 years old, born in USA. Ethel 9 yrs old, born in Manitoba. Arthur 7 yrs., born in Manitoba. Here is another map to give a little more detail. It was a small world! 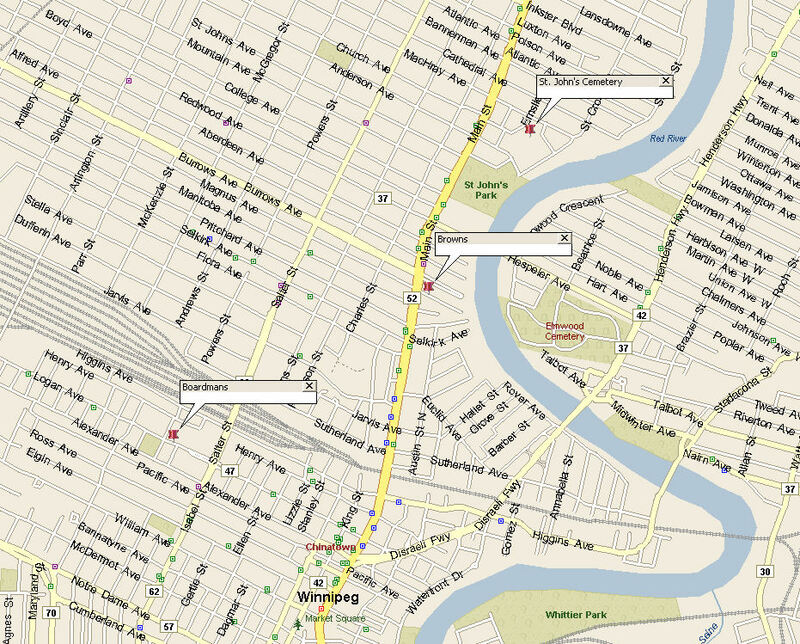 Click on the map above and you will see where the Boardman’s and the Brown’s lived in Winnipeg. In addition the St. John’s Cemetery and the Elmswood Cemetery are nearby. The families would eventually be buried in these cemeteries. The other interesting point is that the Boardman’s and Brown’s lived on the “otherside of the tracks” from each other. Both families worked for the Canadian Pacific Railway so it is understandable that they would live in these areas. This entry was posted in Arthur Ward Brown, BOARDMAN Surname, BROWN Surname, Canada, Charles Ward Brown, Manitoba, Richard and Emma (Ward) Brown, Robert and Ethel Boardman, Winnipeg and tagged BROWN Surname, Cloverdale Library, Winnipeg on February 18, 2011 by BJ MacDonald. Edmund and Charlotte Boardman left Prince Edward Island shortly after the enumeration of the 1881 Canadian census and headed west to Winnipeg. Edmund was a coppersmith by trade and he had skills that could be put to use for the Canadian Pacific Railway. Early in the research I traveled with my genealogy buddy Barb, whom I have known since college days. We discovered in later life that we had a passion for genealogy. On this trip I was going to look at the Canadian Census. At that time you used the microfilm and did not have the online census like exists today at Ancestry.com. Canada has their own film numbering system so if you use the Family History Library you have to translate to their numbers. We had reserved the microfilm reader and I began scrolling through the 1891 Canadian Census for Winnipeg. I was looking for the Boardmans because I knew them better. Well, I found the Browns first and then the Boardmans a few pages later. I did the genealogy happy dance and was very excited!! I had little information about these two families and there they were living very close to each other in Winnipeg. Source: 1891 Canadian Census, Edmond Boardman Family, Manitoba, Winnipeg, District 11, Ward 5C, enumerated April 8, 1891, Film T6297. W1/3/21 Boardman, Edmond, male, 41 yrs. married, born in England, parents born in England, Church of Eng., Coppersmith. Charlotte, female, 36 yrs, married, w (relation to head), born N. B., father born in Scotland, mother born in England. Edmond, male, age 13, single, born in N.B., Robert, male, age 10, single, born N.B., William, male age 7, single, born in Man. John, male, age 5, single, born Man. The only thing that is not quite right is that the little baby girl is missing.  There is a baby girl buried in the West Branch Presbyterian Church cemetery, Kent Co., New Brunswick in Weldford by the name of Alma C. Boardman. The 1881 Canadian Census had her name as “Zelia” but it could easily be a middle name or nickname. The date of death is listed as 16 September 1882 for this baby’s cemetery record. This means that Edmund and Charlotte did not leave New Brunswick till later. 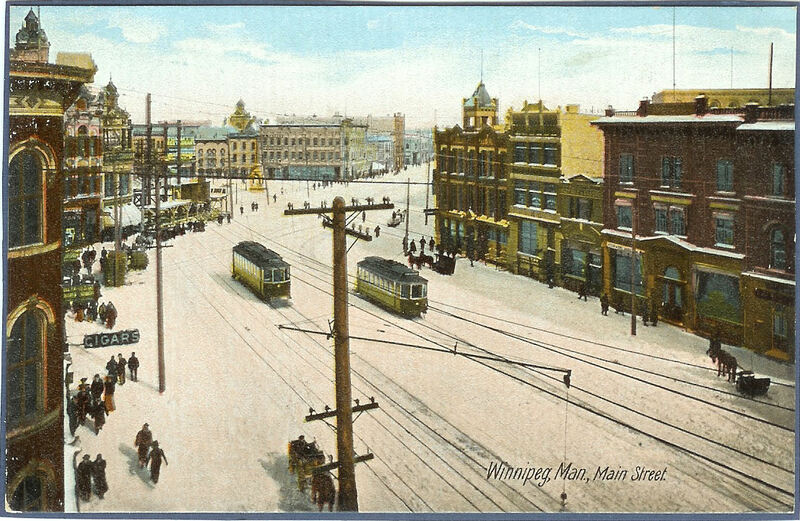 City directory research for Edmund for Winnipeg starts with 1884 as indicated in the post dated January 8, 2011. Robert Boardman who is listed in this census, at the age of 10, is my grandfather. This entry was posted in BOARDMAN Surname, Canada, Edmund and Charlotte (McMurray) Boardman, Manitoba, Winnipeg and tagged 1891 Canadian Census, Boardman surname, Canadian Research, Cloverdale Library on January 30, 2011 by BJ MacDonald.